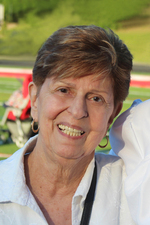 This obituary is protected by copyright by Caggiano Memorial Home. Proudly Serving the Community of Montclair Glen Ridge Bloomfield Verona West Orange Caldwell North Caldwell Cedar Grove Clifton Nutley Belleville Little Falls. Caggiano Memorial Home is located in the state of New Jersey, United States.